The Hoffman Home Team just listed another home for sale in Brighton Colorado 80601. This is a perfect opportunity in the Cottonwood Vista Community. The home is located at 334 S. 32nd Ave., Brighton CO 80601. This open spacious floor plan has a formal living room & family room with gas fireplace.The master bedroom offers a private master bath & 2 separate closets.The 4th bedroom can be used as an office/study room. New stainless kitchen appliances are included as well as the washer and the dryer. There is plenty of counter top space and many kitchen cabinets for storage. A new hot water heater was installed. The kitchen is open to the backyard & wood deck. Great outdoor entertaining on the large wood deck with hot tub & private backyard. Plenty of yard space for gardening or adding a play set. The large storage shed is perfect for those outside toys. The oversize 2 car garage has an extended driveway for additional parking. No HOA to deal with. The school district for the Cottonwood Community is School District 27J. The Cottonwood Vista Community is very close to retail shopping at the Brighton Prairie Center, fresh produce at the Palizzi Farm, swimming at Brighton Oasis Aquatic Park, & near to the Platte Valley Medical Center. The Brighton Recreation Center has many programs to chose from. Easy access to Highway 85 & Highway 76 for commuting. Here is the RTD Bus Schedule for Brighton to Denver. There are several Park-n-Ride places off of Highway 85 as well as Bridge St. Check out the schedule for the exact locations. 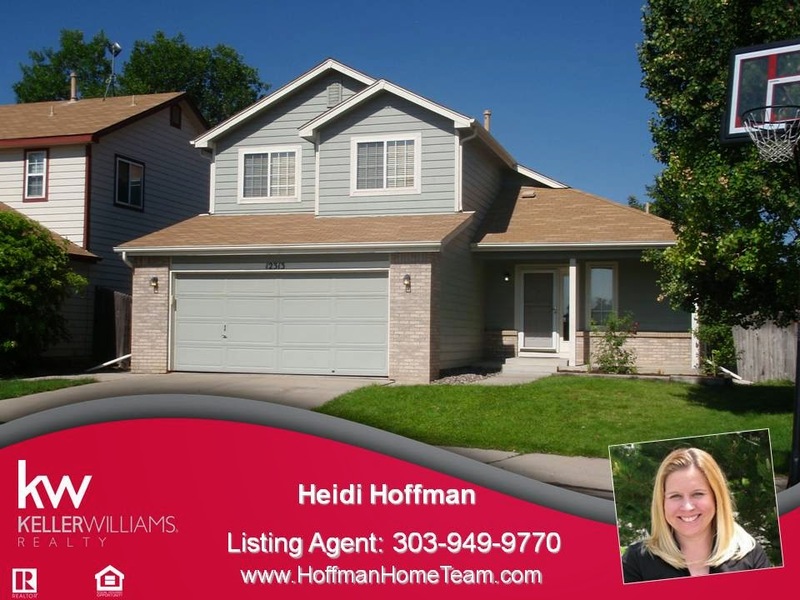 Contact Heidi Hoffman 303-949-9770 and the Hoffman Home Team for more details about this property. Check out all the homes for sale in Brighton. Call us Today! Handle Repairs - Take care of easily fixed repairs that may be potential red flags for buyers. Common quick fixes include repairing drywall, repainting walls, leaking toilets/sinks and oiling hinges. Declutter - Take this opportunity to get rid of those seldom used items that are cluttering up your home. Remember, it costs to move them, so now is the time to let them go! Donate to local charity or have a garage sale. Selling items on line is easy as well and you make a few bucks for it. Start Packing - Store out-of-season clothing, sports gear and small appliances you know you won't need before the move. Too much stuff crammed into cupboards and closets will make your home seem small. If you can, put boxes in storage. If you can't do an outside storage company, stack boxes in orderly fashion so that it looks organized in the garage or basement. Downsize Furniture - Consider removing extra or large pieces of furniture that make your home look smaller. You may want to stage specific rooms to highlight potential uses for the space. Depersonalize - Tuck away family photos, collectibles and any other personal items. It's important to make your home a "blank canvas" for potential buyers to imagine themselves in. Check Curb Appeal - Take a good look at the front of the home. Plant colorful annuals along sidewalks and in containers, and remove any debris or clutter from around your home. Many buyers will preview a home from the outside before deciding whether or not to schedule a showing. Any pealing paint on trim or broken screens? Repaint your front door and door trim to look fresh. If your mail box is in your yard, repaint or replace if it looks old or rusty. Estimated Home Value - Get an estimated Home Value Report to see how your home compares to your neighbors. Contact Heidi Hoffman 303-949-9770 and the Hoffman Home Team to get a specialized marketing plan to sell your home. 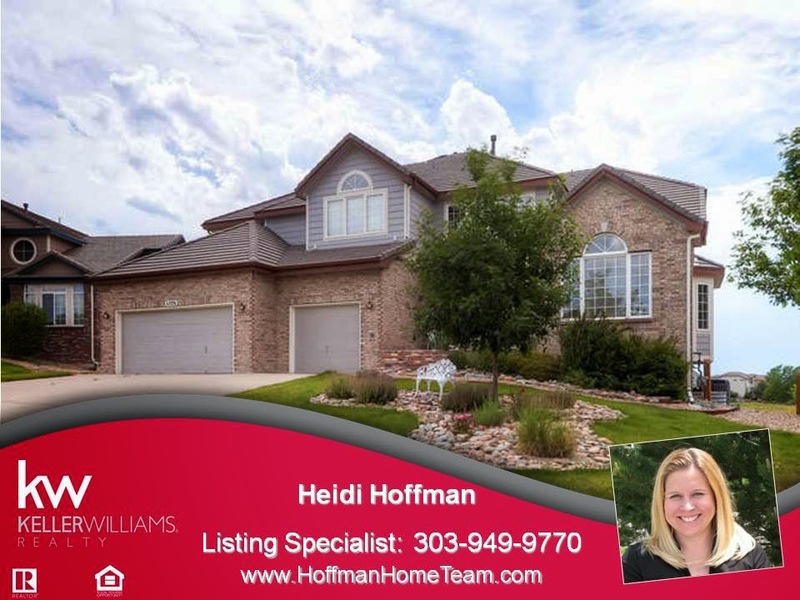 Just Listed in Littleton Colorado by the Hoffman Home Team. 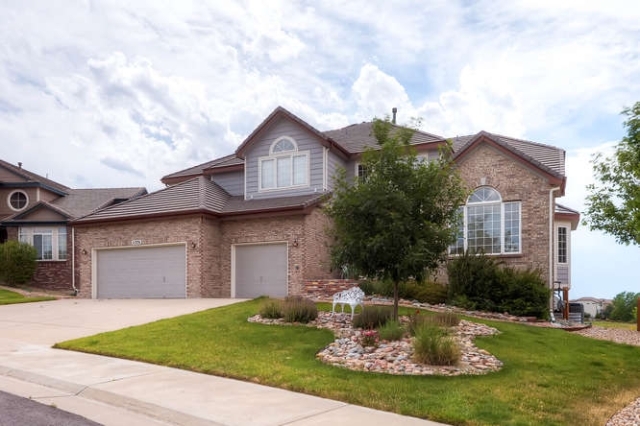 The Hoffman Home Team just listed another Home in Littleton Colorado. Can you believe the size of this lot!! !Completely remodeled home with new finished basement. Open floor plan that is bright & spacious. You'll love cooking in your new kitchen with all new appliances & granite counter tops. Formal dinners in the dining room & mountain views from your formal living room & master bedroom. Plenty of storage with lots of closet space. Finished basement offers plenty of space for a media area & game area. All new carpet, new hardwood floors, new interior paint, new fixtures, new granite counter tops, & new ceiling fans. The .578 Acre large lot has plenty of space to add an additional work shop or storage shed. Plenty of outdoor space for RV parking, garden area, trampoline/play set with no HOA to deal with. Close to shopping, Ken Caryl Sledding Hill, & easy access to C-470. Contact The Hoffman Home Team today if you are thinking about selling your home! serial numbers, and maintain an inventory list of household valuables. 2. Keep garage doors closed and locked, even if you are home. 3. Secure doors and windows with adequate security hardware. 4. Utilize proper exterior lighting during hours of darkness. eye on your home while you?re gone. gone for extended periods of time. your driveway or in front of your home while you are on vacation. 11. Utilize photo cell or sensor lighting on the exterior of your home. For all the department phone numbers please go to the Thornton's Police Department Home Page. 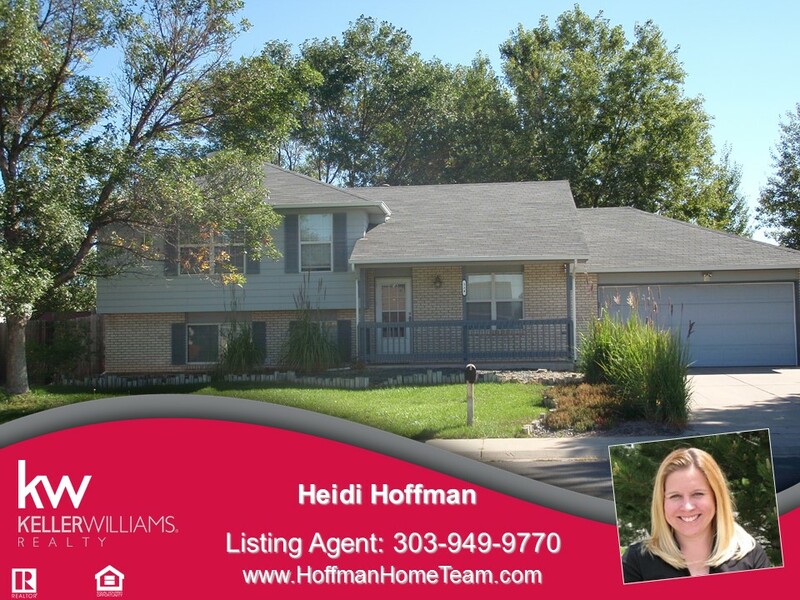 The Hoffman Home Team Just listed another home in the Remington Neighborhood in Thornton. This traditional two story home offers 3 beds and 1.5 baths. The kitchen offers granite counter tops, tile back splash, new sink and new fixtures. The kitchen island is also movable. The baths have also been updated with new sinks and fixtures. From the french doors you can go out into the enclosed sun room to enjoy year round. The back yard has a koi pond with fish included as well as plenty of space for a play set and trampoline. Plenty of space for a garden area. There is also a large storage shed and additional patio that would be perfect for a fire pit and barbecuing in the summer. The total square feet is 2072. The basement is open and unfinished. The Remington Community also offers a private community park that has 2 play gounds, basketball court and a barbecuing area. This is a great space for large get togethers. Additional places in Thornton are the Thornton Recreations Centers, Thornton Parks, and Thornton Pools. Plenty of shopping in this area is located off of 104th Ave and Grant St as well as 120th Ave & Colorado. The school district is Adams 14. Contact the Hoffman Home Team today! Another Home Just Listed by the Hoffman Home Team in Brighton. 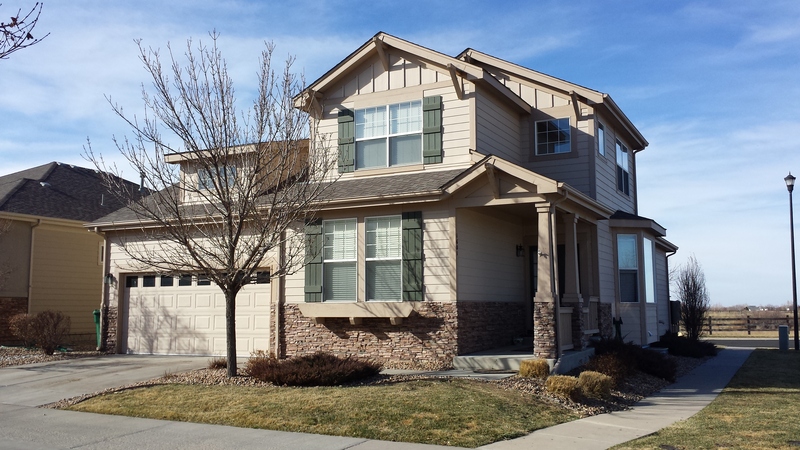 The Hoffman Home Team just listed another home in the Indigo Trails Community in Brighton Colorado 80601. The home was listed for $269,900. The home is located at 1601 Red Poppy Dr in Brighton CO 80601. You'll enjoy the Maintenance Free Living with this great patio home. The main floor master bedroom offers a private master bath with a walk in closet. The open floor plan of this home has hardwood floors, granite counter-tops, gas fireplace, & all kitchen appliances & window coverings are included. Great open loft upstairs with lots of storage. Home backs to open space area & is on a corner lot adjacent to the Indigo Trails Community Park. The school district information can be found here at Brighton 27j. If you are thinking about moving into the Brighton Area, check out this Real Estate Market Report in Brighton for the current sold home information for the area. Contact the Hoffman Home Team for your home selling and buying needs. When purchasing a home or getting your home ready to sell, The Hoffman Home Team recommends that you hire a licensed home inspector to find out if there are any problems with the home. A buyer wants to know if there are any hidden unknown conditions and a seller would want to know if there are any repairs to be done before going on the market. The Hoffman Home Team can recommend an inspector at your request, or you can find one on your own. Here are two Home Inspector Organizations that we recommend: National Association of Home Inspectors, Inc. (NAHI) and American Society of Home Inspectors (ASHI). Members of these organizations have to complete an approved home inspector training program, demonstrate experience and competence as a home inspector, complete a written exam, and adhere to the Standards of Practice and Code of Ethics. The Hoffman Home Team recommends that you attend the home inspection. Typically it takes 2-3 hours depending on the size of the home. The Home Inspector will point out items to you and explain the severity of the problem. You want to learn what is important and what's not. No house is perfect and an inspection on any home is bound to uncover faults. Major points to look for are leaks (water or gas), water damage, electrical, plumbing, and structural integrity. A home inspector will point out conditions that are health and safety issues. A home inspector considers hundreds of items during an average inspection. The home inspection should include the home's exterior, steps, porches, decks, chimneys, roof, windows, and doors. Inside, they will look at attics, electrical components, plumbing, appliances, central heating and air conditioning, basement/crawlspaces, and garages.They report on the working order of items such as faucets to see if they leak, appliances, windows, or garage doors to see if they open & close properly. The final written report should be concise and easy to understand. Either it is the buyer or seller that orders the report, the one that pays for the report is the one that will receive the report. The other party does not have to share the report with the non paying party. The NAHI Standards of Practice and Code of Ethics clearly state that members act as an unbiased third party to the real estate transaction and "will discharge the Inspector's duties with integrity and fidelity to the client." As the buyer, the home inspection is used a tool to determine the current condition of the home as well as knowing maintenance that is needed now as well as in the near future. Sometime further inspections may be required by a plumber, roofer, or an electrician to determine if a real problem exist. The buyer uses the home inspection to determine if the current condition is what they can tolerate to purchase the home. It is entirely up to the buyer(s) to determine their own comfort level. The buyer can ask the seller to repair/replace inspection items. This is all negotiable within the deadlines of the purchase contract. Are you ready to sell your first home and you don't know where to begin? Contact the Hoffman Home Team and find out what we will offer to sell your home in the least amount of time, for the highest price possible and with the least amount of hassle. We are Full Time Real Estate Professionals with over 15 years of experience in the Denver Metro Area Real Estate Market. Contact us Today! The industry is ever changing from how homes are sold to how a buyer can qualify for a loan. You want an agent that is a step ahead and keeping on top of the changes. The Hoffman Home Team continues to keep in close contact with other professionals to know when changes occur and how it will affect the the real estate transaction. When it comes to selling your home, get the process started with knowing what your home value is. Get your Instant Home Value Report for Free, emailed within seconds. If you are needing to buy after your sell your home, then check out all the available Homes for Sale. Get new listings emailed directly to you. Contact the Hoffman Home Team when you are ready to MOVE! What Do I Need to Know To Sell My House? What do I need to know to sell my home? 5. Know how to handle an offer. 6. Negotiate the offer and make it a win-win for both parties. The Hoffman Home Team will help you with selling your home with every step of the process from start to finish. Contact the Hoffman Home Team & Heidi Hoffman at Keller Williams Realty to get started on the home selling process today! Check out the Seller's Home Selling Resources tab for more home selling advice. To see the full list of all the current Builders in Thornton check out our list below. When you are ready to check out the models homes, have the Hoffman Home Team go with you on your first visit. Did you know that the Builder contracts are not approved by the Colorado Department of Real Estate? Each Builder has their own contract that heavily favors the Builder. The Hoffman Home Team can represent you for free. You don't pay us for Buyer Representation, the Builder will. The Builders just require that the Hoffman Home Team gets your registered with the Builder first. The Hoffman Home Team has sold many homes with Builders over the years and we know how to keep your interest represented and your earnest money deposit protected. Call us to get Buyer Representation. 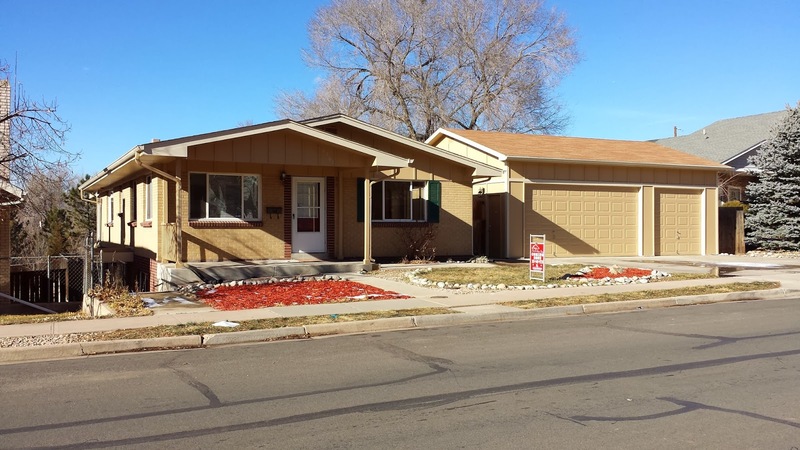 The Hoffman Home Team just listed another home for sale in Parker Colorado. Gorgeous golf home in desirable Canterberry Crossing. Spacious open floor plan. Extended front porch. Gourmet kitchen offers double ovens, large granite kitchen island & wine refrigerator. Large formal dining room perfect for formal entertaining. Master Suite offers spacious 5 piece bath & sitting room with custom wet bar & fireplace. Large walk out basement is ready to have your final finishes for a media and game room. Backyard offers a water feature with a large patio with plenty of space for summer BBQ?s. Enjoy your Golf course & mountain views from the deck. This community offers a pool, tennis and parks. 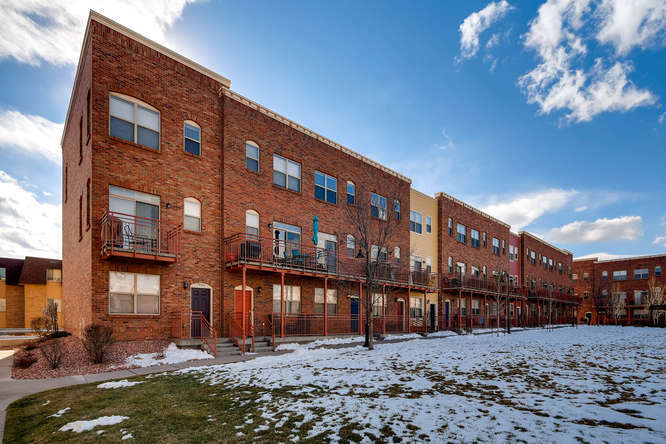 Here are all the current homes and townhomes for sale in Parker Colorado. Listing Courtesy of HEIDI HOFFMAN, KELLER WILLIAMS PREFERRED REALTY. Here are more Broomfield homes and Broomfield townhomes for sale. Did you know that selling home prices are Improving? Want to know what the real estate market is doing in your area? Would you like to know what your options might be? The Denver Metro Area Housing Inventory is still low. Interest rates are still low. Find out today! Call me for a free Real Estate Market Report for your neighborhood to see how your neighborhood is doing, You Might Be Surprised. Get your Free Home Value Report at www.SellMyHomeCO.net for your specific home value. By the numbers, the inventory of available homes for sale is 6,341 homes at March month end, 5,599 homes came onto the market, 4,796 homes were placed under contract, and 3,598 homes closed at an average sold price of $313,846 resulting in a closed dollar volume of $1.1 Billion. The inventory of homes available for sale remains low and buyer demand remains strong. Interest rates although affordable continued to fluctuate upwards in the month of March. Consumer confidence increased in March to 82.3 up from 78.3 in February. Overall, the Denver home market continues to have a two month plus supply of homes available for sale at the current sales rate. Questions to ask when your buying a home..Is the HOA Stable or Underfunded? Questions to ask when Buying a Home, Contact Heidi Hoffman with Keller Williams Realty and the Hoffman Home Team. Since the Real Estate Market melt down from 2007 - 2010, many communities that have Home Owners' Association (HOA) have had huge reduction in income due to the loss of income from increased foreclosures and short sales that have occurred during this time period. Some HOA's even went under and those communities are then under the control of Cities. The reduction income from lack of HOA dues have cause the reserves of these HOA companies to increase dues to the homeowners as well as having to assess special assessments when emergency repairs come up. It is important to check the financial reserves of the HOA. If homeowners don't pay the special assessments that come up, then those assessment can be placed as a lien against the property and in extreme cases the HOA can foreclose on those properties. When you are going to buy a home, the first question should be "Does it have a HOA?" and if it does have an HOA then the second question is to ask to see the current financial statements from the HOA. The Hoffman Home Team will ask for the Seller(s) or the HOA to provide the documentation to the Buyer(s) within a specific time period. As a Buyer you have the right to review all the CIC docs, Financials, Board Meeting Minutes, Budgets, and any other documentation that the HOA has. To check the status of a registered HOA in the state of Colorado, check out the DORA website. 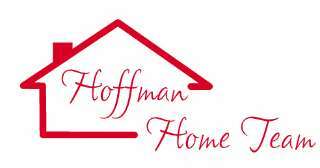 Get The Hoffman Home Team Buyer's Resource Information here. Serach for all homes available through the MLS Metrolist system. The Signal Creek Home Community in Thornton Colorado is located north of 128th Ave between York St and Colorado Blvd. The Signal Creek Community offers a community pool, playgrounds, and community activities such as a Community Pool Parties, Easter Egg Hunt and Holiday Hay Rides. The school district for the Signal Creek Community is Adams 12 school district. The Signal Creek Home Community is also surrounded by Cottonwood Lakes, Hunter's Glen, Shadow Ridge, and Lake Avery Estates. The Signal Creek Community homes current price range is in the low $200,000 to low $400,000. Here are the all current homes for sale in the Signal Creek Community as listed in the MLS Metrolist system. 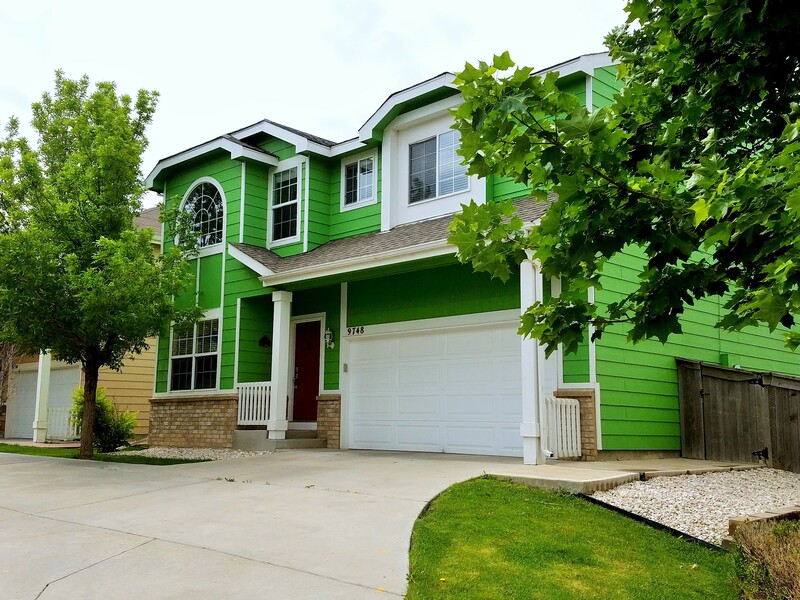 Here is a quick link to search every available homes for sale in Thornton Colorado . Get the latest sold home information in Signal Creek and the surrounding area of 80241. Get your home ready for the spring selling season. Spring is here and many homeowners are considering putting their home on the market. What will make their homes stand out from others in the neighborhood? Here are a few tips on simple items that can be done to increase the appeal of the home for future buyers. Curb AppealThe first thing a buyer sees is the front of the home. An ill-kept yard can create a negative opinion of a home. Take care of the front yard early by fertilizing with a weed prevention mix. Make sure to trim back trees and re shape bushes so the front of the home can be seen. - Pressure wash the driveway, front walk, outside of the home and patio. Repair/mud jack cracked concrete especially if the concrete has heaved or moved. - If you have mulch, re fluff it and add some new mulch to get a boost to the color. - Clean and re paint the front door. Buyers often linger in front of the door and it's the first impression of the home. - Clean the roof and gutters. Make the interior of the home seem light and airy by doing some simple touches throughout the home. Clean the drapes, linens and blinds. Open the windows during an open house and turn on lights. Make it bright. Polish floors and clean all carpets. Add light colors throughout the home with towels, throws and pillows. Take a look at your furniture and closets. Eliminate some of the clutter in a home to give the impression of extra space. Take a look at your closets and reduce the amount of items in it. Put extra items in storage or donate unneeded items. Having only a few items in a closet makes it appear much larger. In the kitchen, reduce the counter space clutter by putting unused appliances away. Clean off the refrigerator. Also organize your garage and basement. If you do have to use your basement for storage, make sure that the items are organized and in boxes. Organized items make a space look bigger than just having items all over the place. Remember less is more. Doing a few upgrades around the home before putting it out on the market could add extra dollars and generate more interest in the home. Kitchen and baths are the areas to look at. Upgrading appliances in the kitchen such as the refrigerator or stove can add extra appeal to a kitchen. Matching appliances are more appealing. Take a look at your faucets, if they are more than 10 years old, you might want to update them. Repairing and restoring finishes throughout the home or purchasing higher quality finishes can make a big difference as well. Adding new door handles to kitchen cabinets is another inexpensive option to update a kitchen. Getting a pre inspection done by a licensed home inspector can give you an idea of what the buyer will find. Any deferred maintenance needs to be addressed. Some of the common repairs that I see are broken window seals, leaking toilets or sinks, outdated electrical wiring, peeling paint. Make sure to service your air conditioner, water heater and furnace. Have these items cleaned and certified. If the tech requires a repair, fix it now because it will come up again in the buyer's inspection. Just as your front yard makes a big impression to potential buyers as they drive by your home, the back yard is also an important area that many consider an additional entertaining space. Get rid of any piles of wood. Weed any rock bed areas. If you have a garden, tidy it up by removing weeds. Remove extra clutter in the backyard and replace any outdated or damaged toys & furniture. Also, make sure to paint your deck if needed and repair any cracked concrete. You can stage the backyard to show the entertaining capabilities of it by having yard furniture placed about. 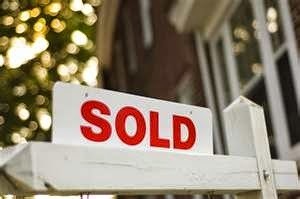 Do Your Research The single most important factor in selling a home is price. When pricing your home for potential buyers, it is important to do your research. The Hoffman Home Team will provide a detailed real estate market report to show what the most current homes have sold. You want to know the pricing of other homes and/or recent sales in your neighborhood. Find out the recent features or upgrades that are being showcased in these homes to see how your home compares. You need to know what is going on in your specific neighborhood. Additional articles for Real Estate Insider Tips can be viewed here. Search for all Homes for sale in Thornton Colorado. 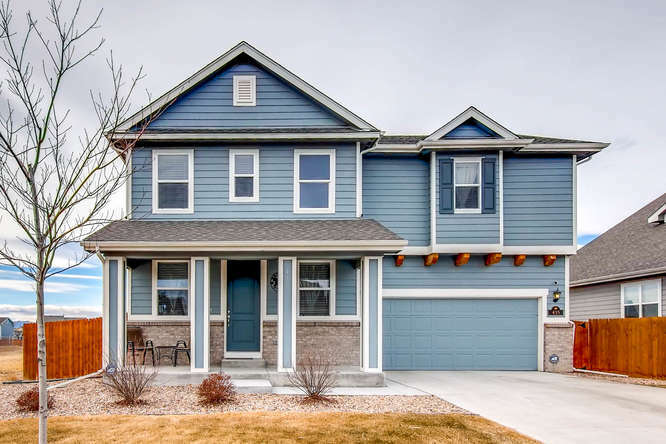 Welcome to Thornton's Home For Sale and Real Estate Market portal: your single stop to find a home in Thornton Colorado. Here you can search every available home for sale in Thornton Colorado via the MLS Metrolist system. The Hoffman Home Team just sold another home in Englewood. The Englewood Home was located at 4387 S Huron St was a previous foreclosure home. The home was in need of much repair inside and outside of the home. The new home owner gutted the home. The home was completely remodeled with new kitchen, new baths, new carpet, new interior and exterior paint, new deck, refinished hardwood floors, new carpet, all new appliances and fixtures, and new landscaping. There was also some electrical, plumbing and heating repairs done as well. You name it, it was done on this home. The surrounding neighbors were very pleased with the new curb appeal as well as the new improvements inside the home. This home sold for $320,000. So needless to say the neighbors are very pleased with the increase in home value that this has brought to their neighborhood. Check out this Englewood Real Estate Market Report. If you have a vacant home or abandoned home in your neighborhood, or you know that you have a neighbor that is struggling, let the Hoffman Home Team know about it. We are here to help homeowners in any situation that they are facing and aren't sure what to do. We work with a group of investors that love to take challenging homes and bring them back to life for the neighborhood. More Englewood Homes for sale can be viewed here. For more information on selling a home, check out our Seller Resources page on our web site. Contact the Hoffman Home Team Today! Real Estate Market Results for January 2014. 2014 has started off with a new record set for market inventory. The active housing inventory level for January 2014 decreased down to 4,592 for detached residential units and 1,116 attached residential units. When a significant reduction in inventory occurs within a market, typically upwards pressure on pricing is noted and multiple offer situations begin to arise. January 2014 was no exception to this common occurrence. Average sold prices were up by double digits in both detached and attached dwellings, to $336,375 or 11.4% and $195,366 or 14.4% respectively for the Denver Metro Area. Detached Residential active 4,592 units, down -21.3% form January 2013. Attached Residential active 1,166 units, down -7.5% from January 2013. Detached Residential under contract up 31.3% from December 2013. Attached Residential under contract up 54.0% from December 2013. Detached Residential MSI sits at 2.6 months, up 2.7% from January 2013. Attached Residential MSI sits at 2.0 months, down -3.2% from January 2013. So how do you think your neighborhood is doing? Get your Free Real Estate Market Report for Your specific neighborhood by adding your zip code to the link. Call the Hoffman Home Team with any questions. Hire a professional to sell your home. The real estate market in the Denver Metro area is improving month over month while the inventory is still low. Hire a professional that knows what is going on in the real estate market. We offer a Free Market Report specific to Your Neighborhood. The Hoffman Home Team was established on one basic belief: that our job isn't work with brick and mortar and pieces of land, but with people who buy and sell their homes through us. But first, last, and always, people. Our philosophy hasn't changed. We believe that our success is based entirely upon our ability to satisfy people's real estate needs. We listen to what you want and need. Real estate is our passion. It is what makes us get up and going each morning. We make every effort to ensure you & your family is confident and comfortable throughout the home selling or buying process. We definitely understand that real estate is a family business. It is all about helping our clients. We are here to help whatever the situation. Hire a real estate professional that will work for you and your specific needs. Call us today!